According to US Fire Administration, seven people die because of a house fire every day. Kids under five years are even more vulnerable as compared to other age groups, as they don’t know how to escape during a house fire. A house fire can spread quickly, so parents must take extra precautions to reduce the risks of residential fire. This can be done by installing fire safety equipment and a proper planning for safety and evacuation to make sure your children escape safely. You can install smoke alarms at every sleeping area and on every floor of your house, including your basement. Using working smoke alarms in the house reduces the risk of fire by 40 to 50 percent. Smoke alarm serves as the first alert of fire to let you know about the danger and provides you a few moments to enact your fire safety plan. 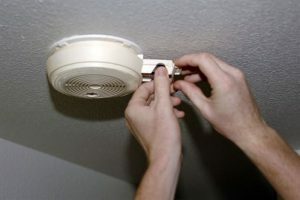 If you are not using smoke alarms in your house, local fire department offers them at less cost. You can purchase them for their and use in your house. Keep the matches or lighters out of reach of young children. They can accidentally light a fire which causes to the residential fires. Also, hide the other flammable substances from the children that are used in the home. Don’t overload electric outlets, extension cords or wall sockets. 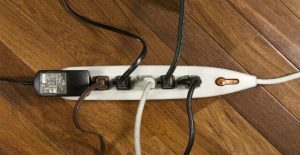 Using multiple cords to plug several appliances at the same time into the same outlet could be a bad idea. It is the main reason for the residential fire. Try to avoid plugging multiple appliances into the same outlet to reduce the risk of residential fires. A burning candle can be a cause of residential fire if you forget to blow out the candle before leaving the room. A candle can fall for several reasons such as lighting curtains, furniture ablaze or carpets. It can also happen if the candle is burning at low flame. So never leave a burning candle unattended or blow out before leaving the room. Always place working fire extinguishers in your house. They should locate properly so that it is easy to find them during the house fire. Kitchen is the most common place for fire to occur from cooking or other hazards. So always place a fire extinguisher in the kitchen for the prevention of fire risks. 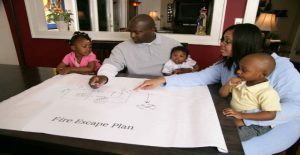 It is important to prepare a comprehensive escaping plan when you have kids in your house. Children may not know what to do and need help in these types of situations to get out of the house. Have a plan for young kids to escape from the house. Always select two ways to get out of the house and choose a meeting place. Also, teach them to never go back to the building that is on fire. If you are a smoker, try to avoid smoking inside the house. It is the second most common reason for residential fire. Don’t smoke in bed and keep an ashtray away from the furniture and curtains. Never leave burning cigarettes unattended.